- Yes, for every church member. This initiative by Outreach UK, Good News Newspaper and Pocket Testament League gives both training and resources - on how everyone in your church can share the Gospel. 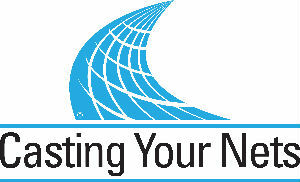 "Casting Your Nets (CYN) is an evangelism training course that makes outreach simple for all church members. Evangelism has too often been the ministry of ‘The Few’ rather than every individual Christian. CYN shows that this doesn’t need to be so. The theory and practical training we offer equips every church member to share their own faith in Jesus Christ..."
Get in touch for further information - see contact for below. Watch the clip below - and use either a Good News newspaper or a Pocket Testament League John's Gospel. Look out for our new Facebook page.